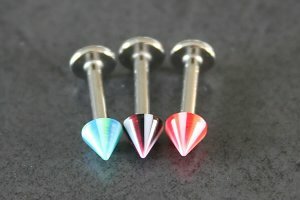 Comfort fit 16g (1.2mm) labret made of high grade bioflex material. 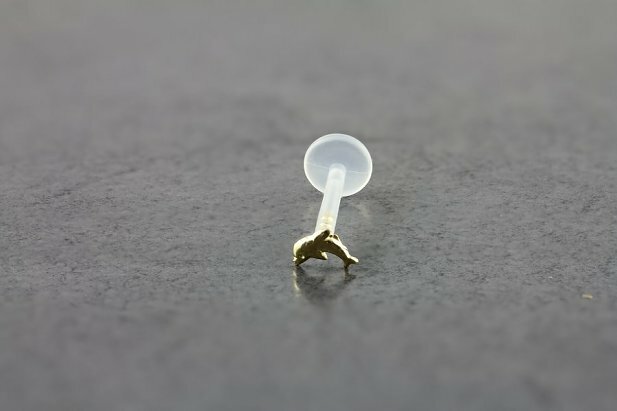 This unique piece features an easy to insert labret end with a push fitting so no threads are used. 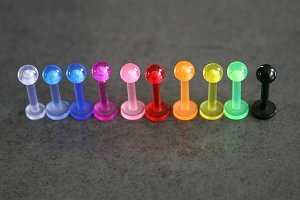 The end stays securely in place with pressure from the labret shaft. 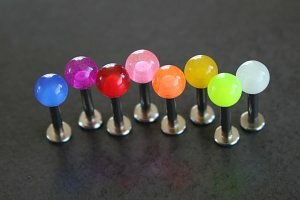 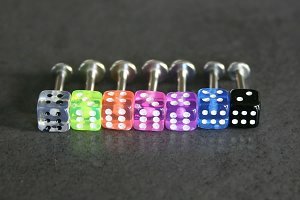 Labret is 3/8" length (10mm) and can be cut shorter to suite an length you need. 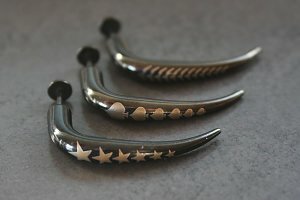 Excellent for lip, monroe, tragus, rook, etc.